"I'm a little worried," Lt. Michael Manley, commander of the tactical team, said when they had left the building. "Is this placed locked up? The last thing I want is some old lady coming around the corner and seeing five guys with guns." 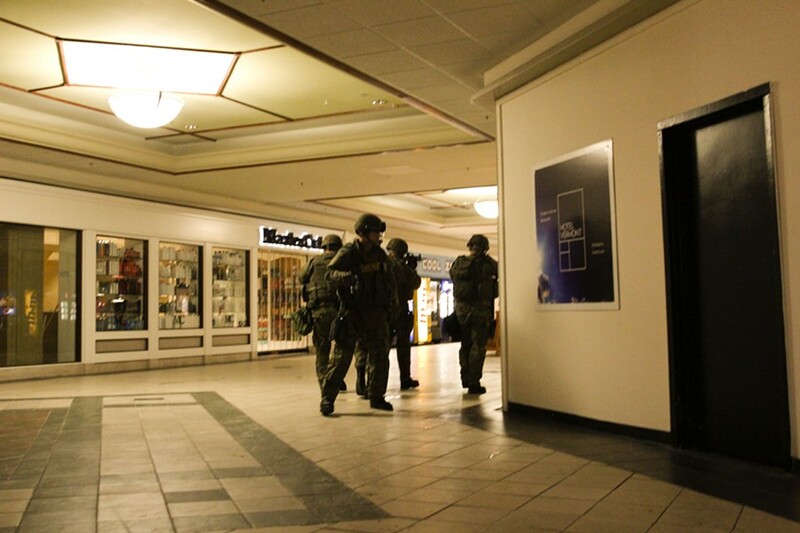 Their guns weren't loaded, and Travis Ploof, director of mall security, assured Manley that the only people still around — aside from the press corps — were janitorial staff members who had been alerted to the drills taking place that evening. An hour earlier, the tactical unit had been at Charlotte Central School. There, Captain Timothy Clouatre explained in an interview, police negotiators had practiced what to do in the event a school is locked down. 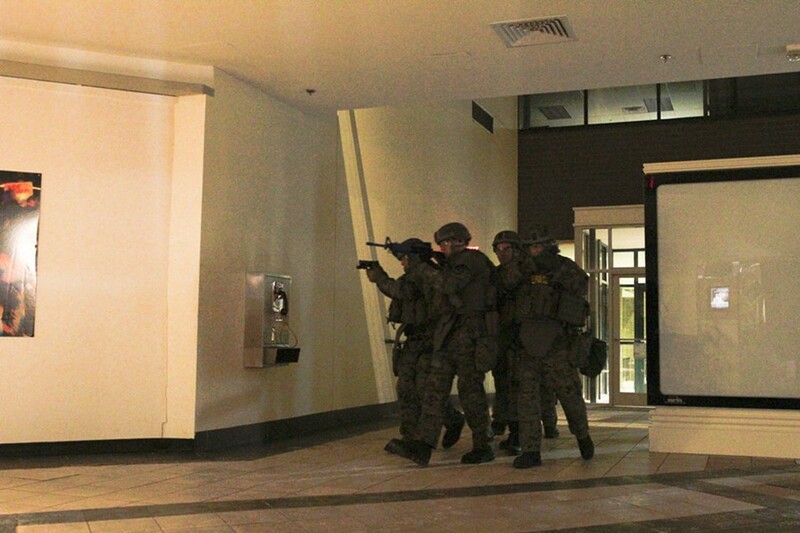 Now in the Burlington mall, they were focusing on how to handle a shooting scenario. 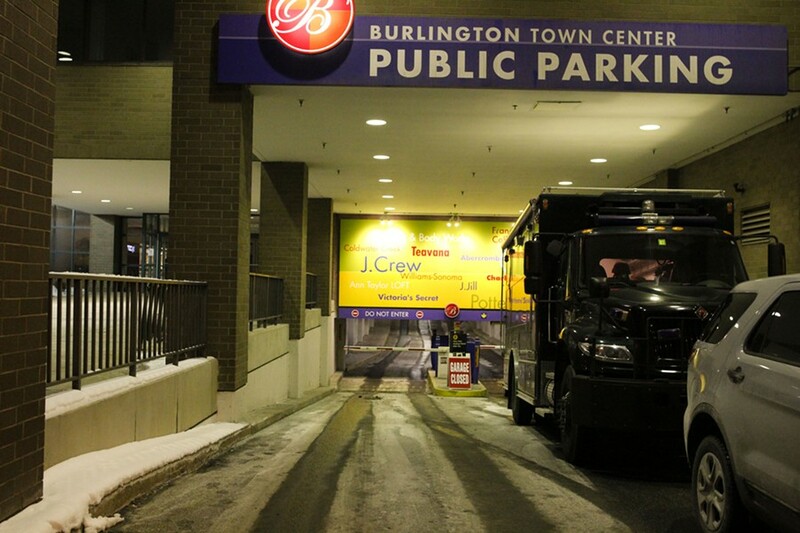 A negotiating team had set up a command center next to the mall's escalators, where they were joined by several members of the Burlington police department. This evening of training wasn't prompted by any particular event, but rather the simple availability of the space, according to Clouatre. "It's utilizing a real mall, which is a wide, open space," he said. "Sometimes we get to use a bus or a train, but it's not often we get to use a mall or a school."